She's looking more and more like her mom! 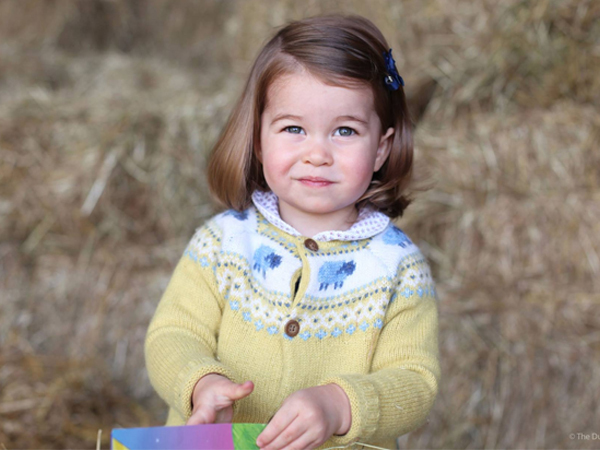 Princess Charlotte is the spitting image of her mom Kate in a new official photo released to mark her second birthday. The Duke and Duchess of Cambridge's youngest will officially become a toddler when she turns two on 2 May. In the newly released snap, taken last month by keen photographer Kate, Charlotte dons a sweet embroidered yellow jersey and a slightly bemused expression on her face as she looks up at the camera. The portrait was taken at the Cambridge family home in Norfolk, Anmer Hall. "The Duke and Duchess of Cambridge are delighted to share a new photograph of Princess Charlotte to mark her second birthday tomorrow," Kensington Palace captioned the picture, which was shared on their social media pages. Their Royal Highnesses would like to thank everyone for all of the lovely messages they have received, and hope that everyone enjoys this photograph of Princess Charlotte as much as they do." Princess dresses and tiaras may be the order of the day at most little girls' birthday parties – but what happens when you're a real-live princess? Princess Charlotte's big day will probably be just like any other toddler's, celebrity party planner Antonia Voss told MailOnline. "Two is such a lovely age as children are old enough to really understand and enjoy their big day," she says. "Given that the Duke and Duchess of Cambridge like to dress their children in classic pieces, I would imagine they might want to mark their daughter’s birthday with a party that is timeless and lots of fun for all." Antonia, who works for event company Peppermint Diva, has worked on lavish children's parties that cost an eye-watering £100 000 (R1,7 million). Although given mom Kate's frugal outlook, the little princess, who celebrates the milestone birthday on 2 May, is unlikely to have an event quite that over-the-top. Antonia believes young parents may throw their little princess for a teddy bears' picnic or, given Charlotte's love for animals, a wildlife-themed party. "A professionally-run petting zoo with lambs, chicks and rabbits, tractor rides around the grounds and a puppet theatre complete with hay bale seating could make for a really memorable day," says Antonia. 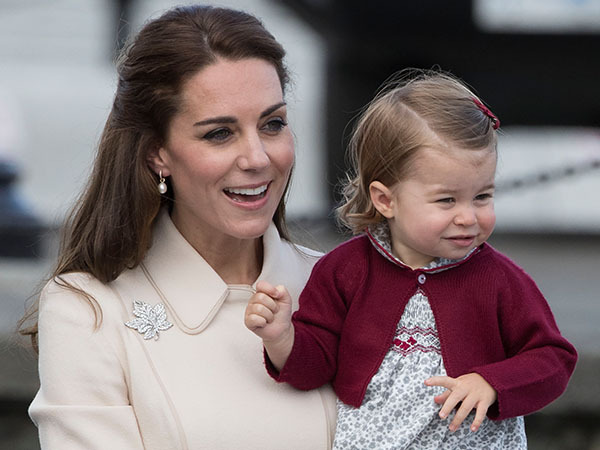 Even though her grandparents on her maternal side, Michael and Carole Middleton, have a party planning business of their own, celebrations for Charlotte's birthday on Tuesday are expected to be low-key, The Telegraph reports. Mom and dad the Duke and Duchess of Cambridge and uncle Prince Harry all have the day off official Royal engagements, so they're likely to be around for the occasion. The last time we saw Princess Charlotte was on Christmas Day in 2016 when she went a church service in the Berkshire village of Bucklebury, close to her Middleton grandparent's estate. Her second birthday is not the only big event Charlotte has coming up this month! The adorable brunette will likely steal the show as she plays bridesmaid at her aunt Pippa Middleton's wedding later this month. Watch this space for pics!